Here’s some heavy duty wisdom. If you want to reach the summit of your CLIMB, there are no shortcuts. You must start with one step, then the next, and keep moving forward. Much has been written, studied and said about the key ingredients of success. Some say it is intelligence or vision. Other say that it is teamwork, collaboration or maybe passion. I agree with Angela Lee Duckworth whose TED talk, “Grit: The Power of Passion and Perseverance, ” has now been seen almost 10,000,000 times worldwide (9,872,920 to be precise as of 1/11/17). 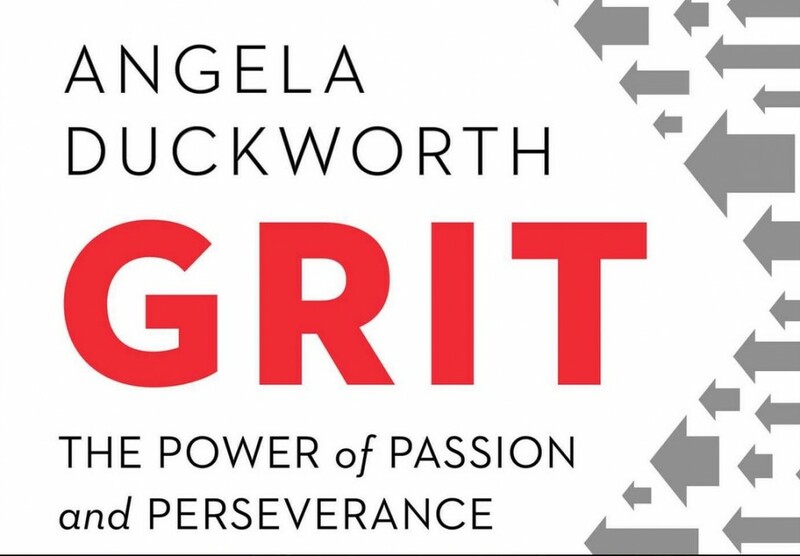 Duckworth’s ground-breaking research concluded that the secret sauce of success was GRIT! According to the Merriam-Webster dictionary, GRIT (in the context of behavior) is defined as “firmness of character; indomitable spirit.” GRIT, more than intellect, skill, pedigree, or education seems to be the required attribute to make it to the summit! It is grit which gets people through the CLIMB when it’s steep, and breath is hard to find and energy is waning, and everything in you wants to stop!, True Grit. The Jews in Babylon made it through 55 years of being under the thumb of cruel captors, but most of them survived. But where does such tenacity come from? What is the origin? It comes from Him who enables us to mount up with wings like eagles, to run and not be weary. I believe, with all my heart that the source of true grit is faith in God’s abiding faith in us. Grit, true grit must be founded and grounded in something far bigger than our self-interest, our desire for fame and fortune, or stubborn tenacity. Succeeding in our life’s CLIMB set forth for you, by the Divine is far different than achieving long-term goals. It is the combination of spiritual fulfillment and Kingdom minded surrender. If our GRIT is relying on our human strength alone, then quit now and let nothing more than talent drive you. In the book, “How Children Succeed,” the research was framed around this simple question: “How is it that some people achieve great things, and others don’t?” The answer? “The difference is not intelligence, skill or native ability. It isn’t cognitive at all. The difference lies in character, in traits such as discipline, persistence, self-control, gratitude…, courage and conscientiousness. One dimension, though, matters more than all the others. GRIT: the ability to keep going despite repeated failures.” See that? GRIT is honed and perfected in FAILURE. You cannot fail unless you are attempting something that inherently has the potential to produce failure! William Golding, the Nobel prizewinner for literature, had 21 rejections from publishers before he found someone willing to publish Lord of the Flies. J.K. Rowling had sent a book about a young boy with glasses to 12 publishers before anyone was willing to give Harry Potter a life in print. The Beatles were told that guitar music was on the way out and there was no future for the wildly successful band. Michael Jordan was cut from his junior high school basketball team. Walt Disney was fired from a newspaper for not having enough imagination. Thomas Edison’s elementary school teacher encouraged him to quit school as he would never amount to anything considering his lack of intelligence. GRIT! Do you have this secret sauce of the CLIMB? Am I afraid to fail to the degree that I would rather not try than to live with failure? Do I find my criticizing others failures, while never attempting to overcome my own? Did I stop my life’s CLIMB as a result of a failure? Folks who don’t possess a faith system founded on the Divine and His love for us are forced to try and find true grit within themselves, exclusively using their own resources to combat the circumstances they find arrayed against them. But those of us who believe in God believe that God will enable us to call on the inner reserves of courage He has placed within us to do what we never thought we could do. That’s you! You were created with a bent toward the Divine. You were created to serve, give, love and hope! Go Get Your Climb On – And Don’t Grow Weary in Doing Good!